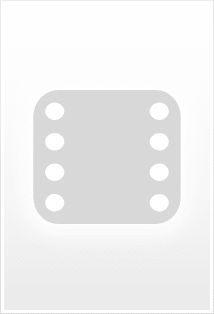 Kowalski: We've arrived in the center of Dublin, Ireland. Skipper: We gotta blend in. River dance. 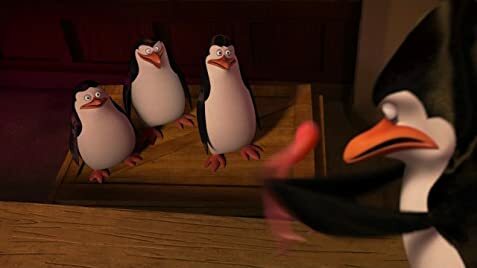 Skipper, Kowalski and Rico rescue an egg but they drift out to sea. The egg hatch into Private and the gang go off to adventures together. Ten years later, they break into Fort Knox to get the Cheezy dibbles from the vending machine. They are abducted by Doctor Octavius Brine who was Dave the octopus. Dave lost his fans at the various zoos to penguins and now plans to take revenge on them using the Medusa Serum. The penguins have to stop Dave with the help of the animal spy agency The North Wind. 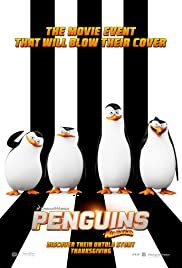 The Penguins are the funniest thing in the Madagascar franchise. The core story is fun. It has a lot of great references. It takes cute unexpected turns and has great cartoon action. There are big laughs and funny throughout. I like it even better than the Madagascar movies.